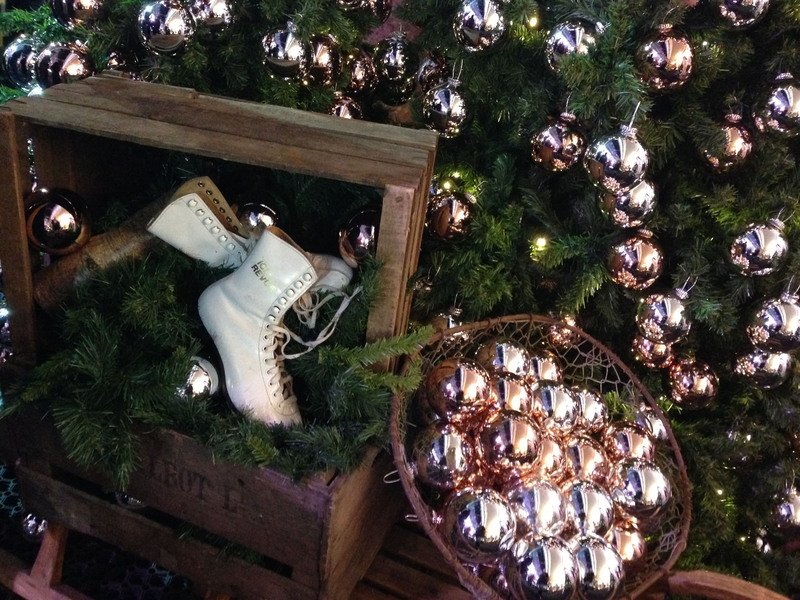 I’m continuing with the winter ice skating theme today as Selfridges have just opened their ice rink at intu Trafford Centre for the festive season. 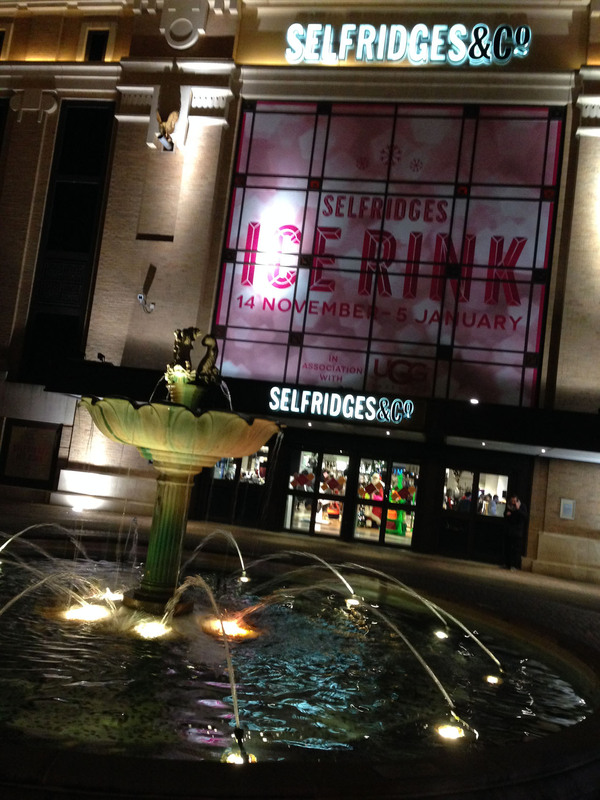 This ice rink is undercover, which is great if the weather is bad (most likely) and sits just outside the fountain entrance of Selfridges – which as you can see looks quite pretty! 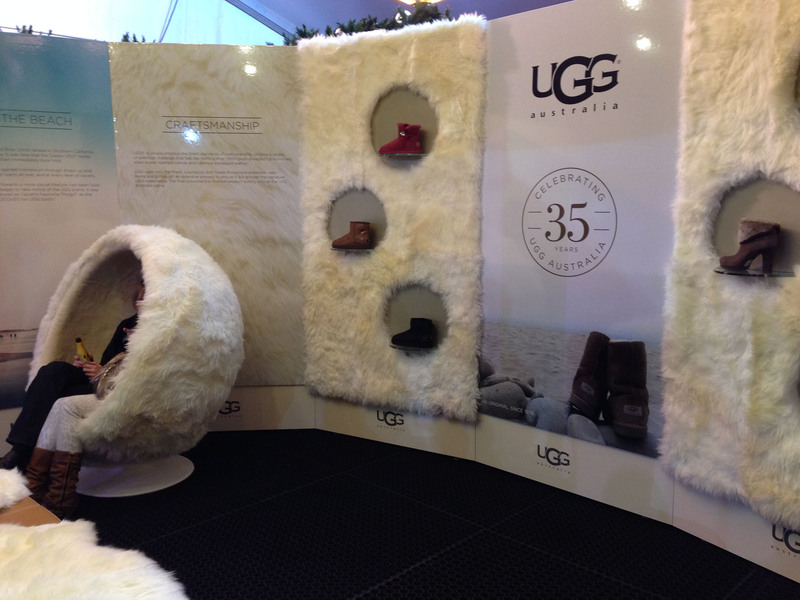 The inside is pretty too, with Christmas trees, shiny baubles, faux furs and vintage ice skates, and as the ice rink is sponsored by Ugg, there is also an Ugg-themed snug corner for getting cosy. 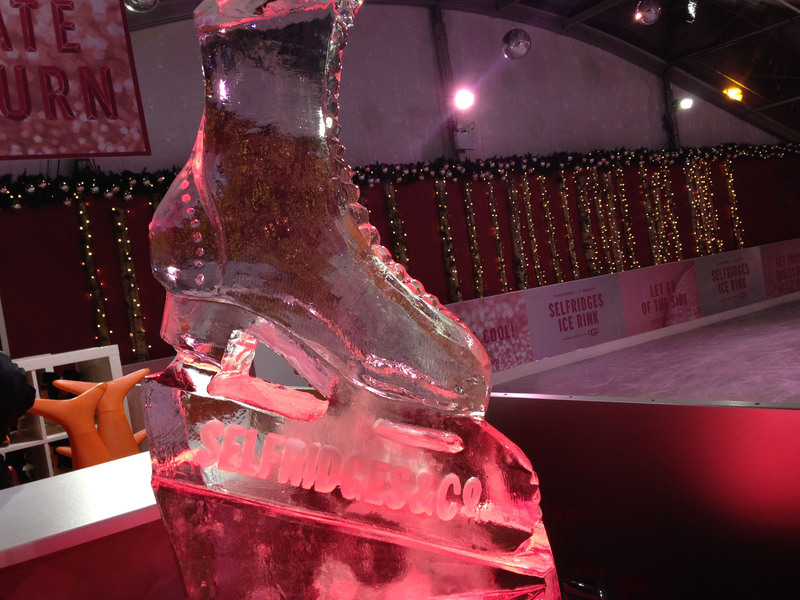 Check out that skate ice sculpture! 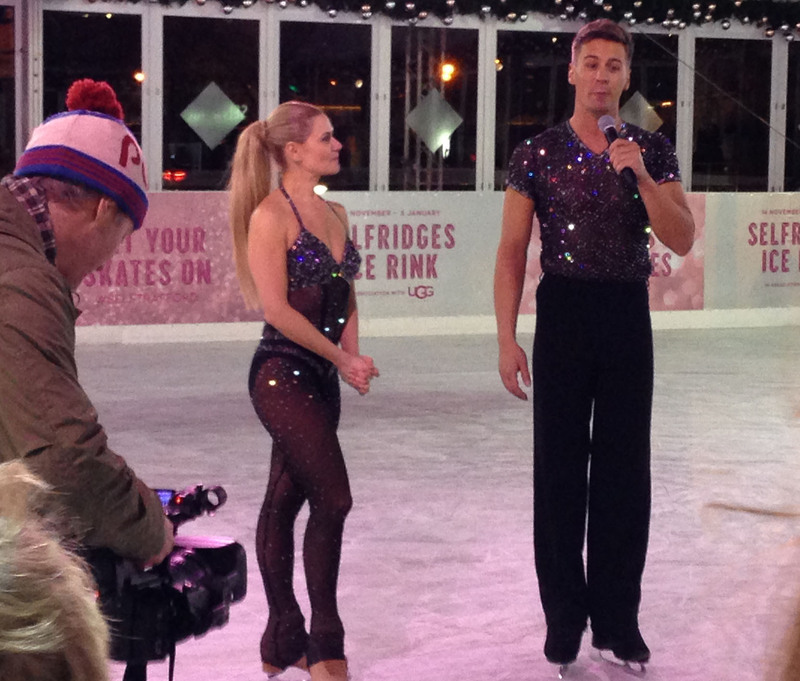 And also exciting was that Matt Evers and Maria Filippov off of Dancing on Ice were on hand at the grand opening to show us what real skating looks like. Selfridges know how to do things! I attempted a skate, but as expected I’m no good (too concerned with the very likely possibility of hurting myself). It was good fun though, and a lovely Christmas activity. 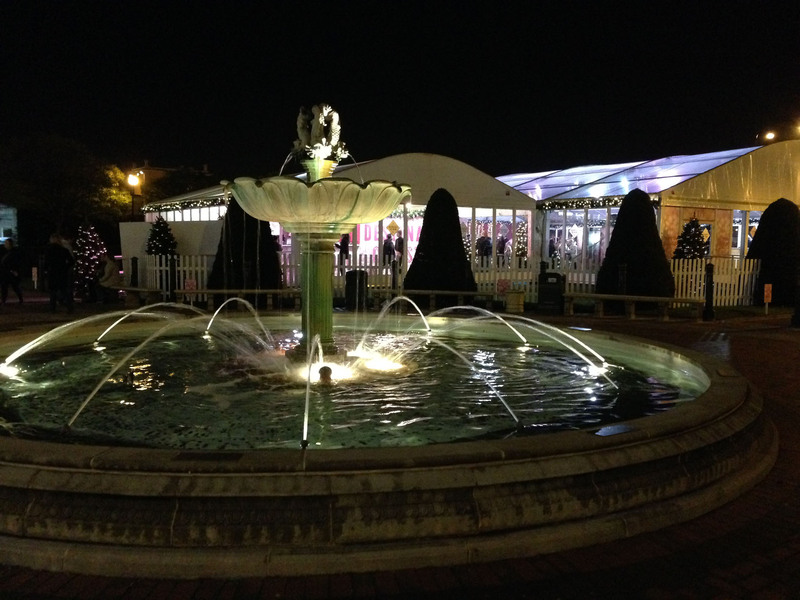 And I made the most of the Krispy Kreme stall too, selling tasty doughnuts and hot drinks for after your skate! 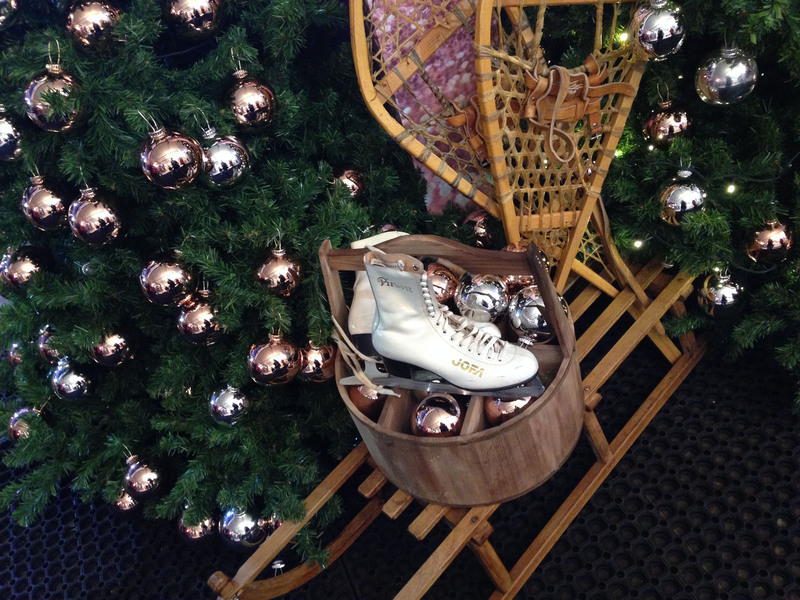 If you fancy getting your skates on, the Selfridges ice rink is open until 5th January. 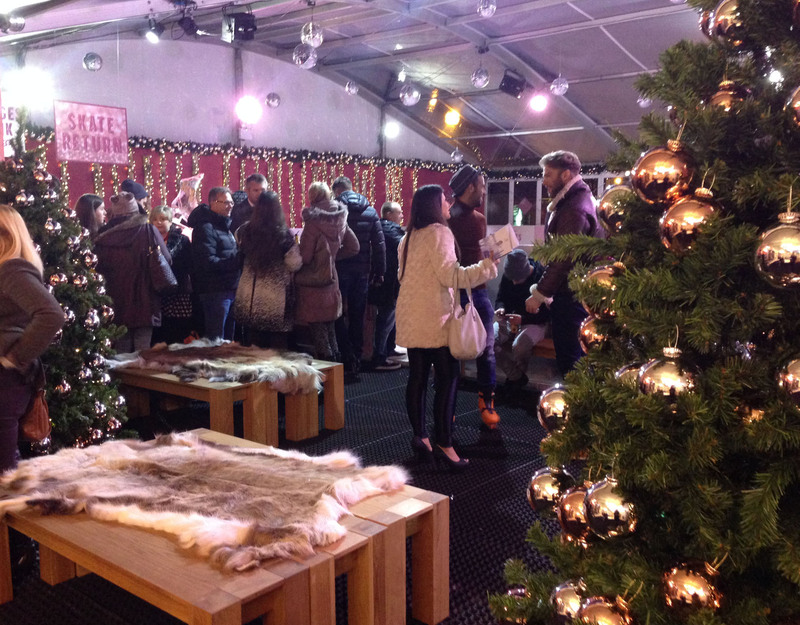 ‹ PreviousFestive Friday: Spinningfields ice rink now open! 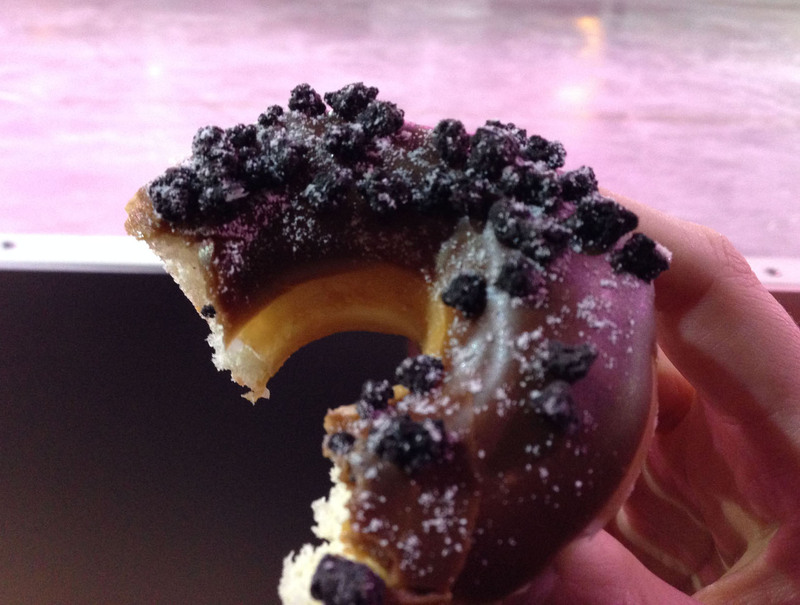 That doughnut looks so good!